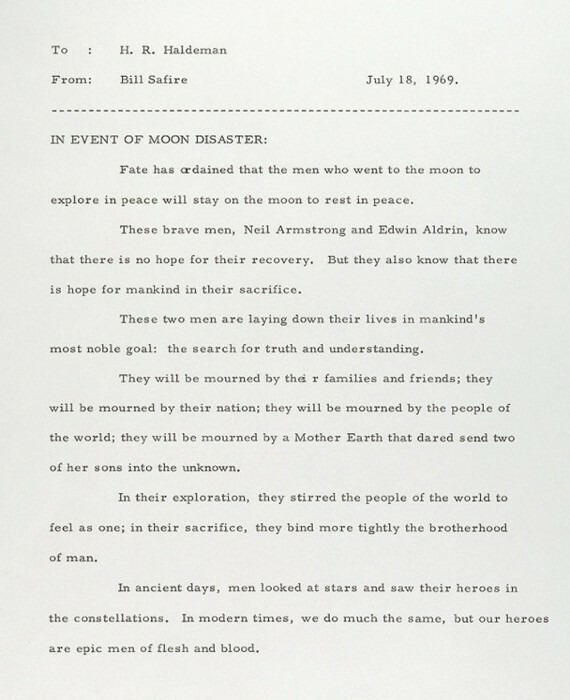 “In event of moon disaster.” was the speech that Richard Nixon had prepared if had been necessary to communicate to the world the failure of the expedition of Apollo 11 to the moon. William Safire, New York Times columnist and Pulitzer Prize winner, was in charge of writing a poignant words to elevate the merits of astronauts. I use an American newspaper published a day after landing and I hide the news through black ink. I respect small fragments of words or whole words without ink. These free areas reveal the full speech In event of moon disaster. 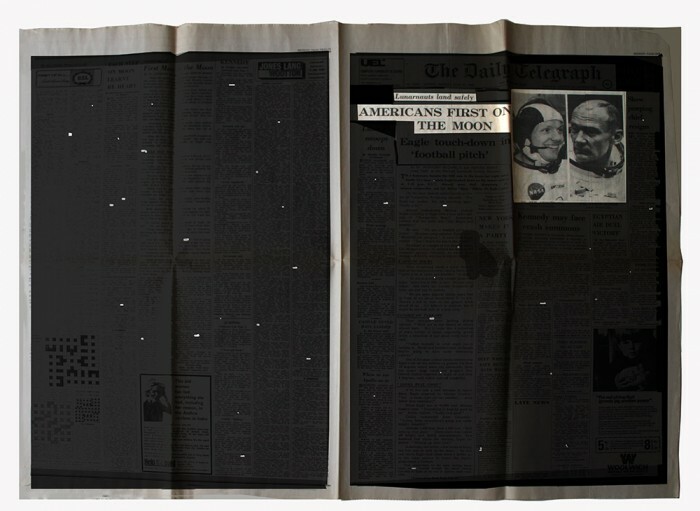 The three pages of the newspaper comprise a vertical window on the universe, uncovered spaces stars in the dark. “En caso de desastre lunar”. Así se titulaba el discurso que Richard Nixon tenía preparado en caso de que fuera necesario comunicar al mundo el fracaso de la expedición del Apolo 11 a la Luna. William Safire, columnista del New York Times y ganador del premio Pullitzer, fue el encargado de redactar unas conmovedoras palabras que ensalzaran los méritos de los astronautas. Empleo un peródico americano publicado un día despúes del aterrizaje y oculto la noticia de la azaña mediante tinta. Respeto pequeños fragmentos de palabras o palabras enteras sin tinta. Éstos espacios no cubiertos revelan el discurso completo “In event of moon disaster”.